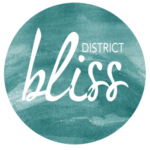 Join District Bliss and Creative Successful Entrepreneurs for a Workshop at WeWork Burbank! LEARN THE FOUR KEYS TO SUCCESS FOR CREATIVE BUSINESSES! Let’s bust these myths together! There will be a lecture and a Q&A session, so not only will you leave with helpful handouts, actionable goals, and useful techniques – you will also get the chance to ask your questions to an elite business coach with over 28 years of experience! WeWork Members + District Bliss Members receive a FREE ticket! Check your email for a free code or email your WeWork/DB contact!